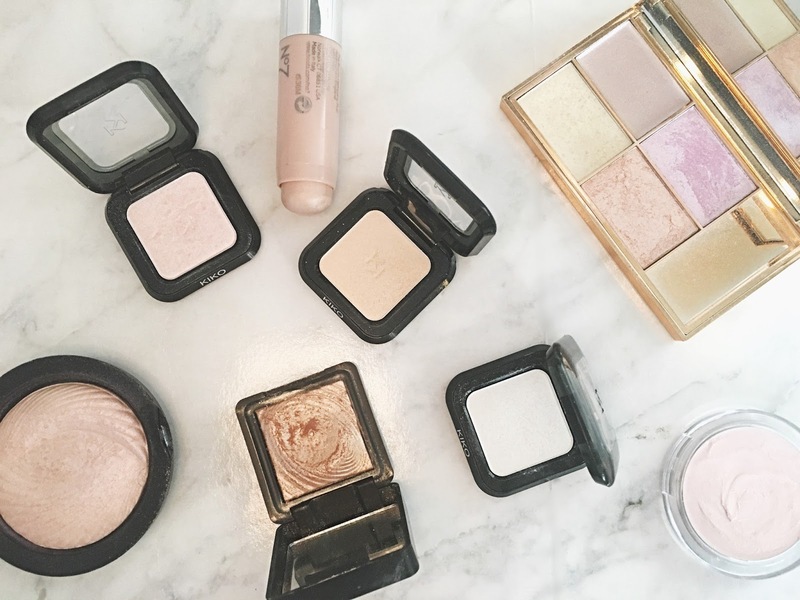 One of the most talked about beauty trends has to be highlighting and a lot of people do not have £30-50 to spend on a highlighter and as much as I love my Becca and Anastasia Beverly Hills highlighter I had to ditch them for this post and get back to basics in my collection and I dug out some gems. This highlighter, although subtle is strong enough to give you that glint of shimmer when you turn your face. It is very cool and icy toned with a slight pink and Peach reflects making it perfect for summer! This is probably the best dupe for the infamous MAC Whisper of Gilt which everyone craved a few years ago! This highlighter is a gorgeous bronze toned gold that is sure to make your skin glow! However if you are super fair I wouldn't recommend this as it probably won't have the same glowy effect! This is very similar to Peach lights in the respect that it is very icy toned! This highlighter is great for all you pale girls! This shade is very comparable to the balms Marylou as it is gold based with a gorgeous glow. The swatch pictured above does it no justice so you have to trust me on this one! If this isn't the best dupe for Jeffree Star's skin frost in ice cold then I do not know what is! This is a true ice white which is beautiful applied on the brow bone for an intense highlight. I absolutely love cream highlighters for a more natural look especially during the summer to give your skin that healthy glow! This highlighter stick is an amazing dupe for the Clinique one which I compared here! This highlighter is a beautiful champagne with slight silver tones running through it. This highlighter is a gorgeous rose pink toned highlighter with silver shimmer and reflects. For only £2.80 this is a total steal! Arguably the best drugstore highlighter out on the market, this palette is sure to make you glow. I have used this palette to death. The pigmentation is absolutely amazing and for less than £10 for 4 highlighters?! Do you have any highlighters that are this affordable? The sleek palette is in my Top 5 Highlighters post too! It's just INSANE isn't it!